•	Foreign researchers and scholars who have written about B&H. - Creation of central academic database on multiethnic level. The idea of Diaspora Portal consists of creating a unified and integrated academic production of all BH nationals regardless of ethnic and/or religious affiliation. •	development of integrated national bibliography of doctoral thesis. Long term promotion through distribution of leaflets and posters. •	linking BH scholars in the diaspora with scholarly institutions in B&H, exchange of scholarly information between scholars in B&H and the diaspora. BH scholars are already attempting, by means of academic and professional conferences and individual collaboration, to form closer contacts and exchange of information between academic communities at home and abroad. The Diaspora Portal will facilitate and simplify these efforts. 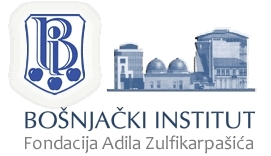 •	The Diaspora Portal would be the only project of its kind throughout Bosnia and Herzegovina, though in the region, similar project has been developed in Croatia. •	the Diaspora Portal project will encourage development of partnerships with international academic and cultural institutions, which may lead to development of joint projects. Future linking of databases of doctoral dissertations in South-East Europe is to be expected. •	Cooperation on academic basis between BH scholars from the diaspora with those in B&H. •	free flow of information, free access to knowledge, enhanced access to scholarship, up-to-date, high quality information with a positive, affirmative impact on the knowledge society and the popularization of scholarship. •	centralization of knowledge and the products of the intellectual work of the BH academic research community abroad, thereby minimizing or eliminating the current dispersal and lack of coherence of scholarship from the diaspora. •	professionals in the field of information science who work in academic and research institutions (librarians and archivists).